The fresh scent of Inis energizes and makes you feel close to the ocean, no matter where you are! A sparkling, clean unisex fragrance that captures the coolness, clarity and purity of the ocean, Inis the Energy of the Sea is a favorite around the world. 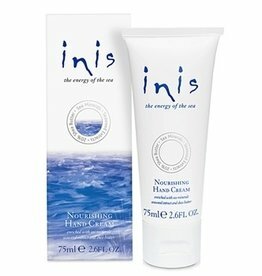 Inis Nourishing Hand Cream - 2.6 Oz.